Aging is a fact of life. One that some of us would rather not recognize in ourselves. Yet, it is inevitable. What may be even more difficult is seeing our parents’ age and become more dependent on us, their children, and qualified professionals. A nursing home might prove to be the best option. There are several tax aspects of a parent entering into a nursing home. The costs of qualified long-term care, including nursing home care, are deductible as medical expenses to the extent they, along with other medical expenses, exceed 10% of adjusted gross income (AGI). However, a more favorable 7.5%-of-AGI threshold applies through 2016 if the taxpayer or the taxpayer’s spouse has reached age 65 by the end of the tax year. Qualified long-term care services include diagnostic, preventive, therapeutic, curing, treating, mitigating, and rehabilitative services, and maintenance or personal-care services required by a chronically ill individual provided under a plan of care presented by a licensed health-care practitioner. To qualify as chronically ill, an individual must be certified by a physician or other licensed health-care practitioner (e.g., nurse, social worker, etc.) as unable to perform, without substantial assistance, at least two activities of daily living (eating, toileting, transferring, bathing, dressing, and continence) for at least 90 days due to a loss of functional capacity, or as requiring substantial supervision for protection due to severe cognitive impairment (memory loss, disorientation, etc.). A person with Alzheimer’s disease does qualify. Premiums paid for a qualified long-term care insurance contract are deductible as medical expenses (subject to an annual premium deduction limitation based on age, as explained below) to the extent they, along with other medical expenses, exceed the threshold mentioned above. A qualified long-term care insurance contract is insurance that covers only qualified long-term care services, doesn’t pay costs that are covered by Medicare, is guaranteed renewable, and doesn’t have a cash surrender value. A policy isn’t disqualified merely because it pays benefits on a per diem or other periodic basis without regard to the expenses incurred. There are certain dollar limits as to the amount of qualified long-term care premiums that can be included as medical expenses. For individuals over 60 but not over 70 years old, the 2016 limit on deductible long-term care insurance premiums is $3,900, and for those over 70, the 2016 limit is $4,870. Amounts paid to a nursing home are fully deductible as a medical expense if the person is staying at the nursing home principally for medical, rather than custodial, etc., care. 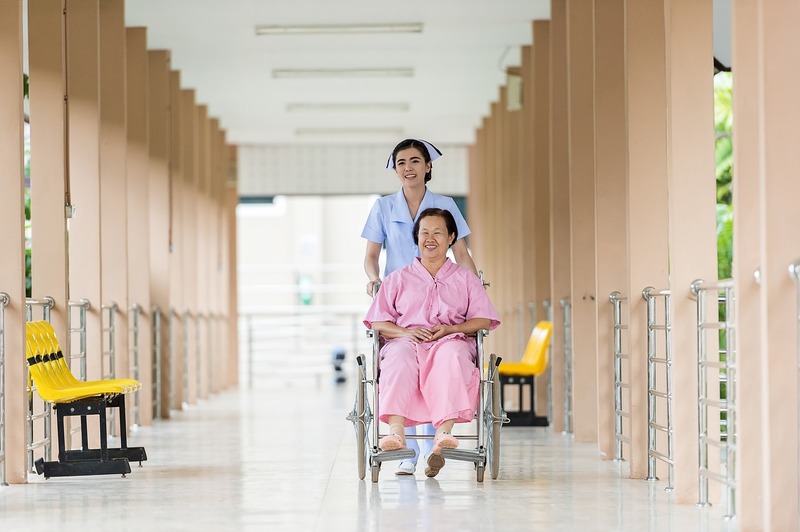 If a person isn’t in the nursing home principally to receive medical care, then only the portion of the fee that is allocable to actual medical care qualifies as a deductible medical expense. But if the individual is chronically ill (as defined above), all of the individual’s qualified long-term care services, including maintenance or personal care services, are deductible. In order for your parent to qualify as your dependent, all three of the following qualifications must be met. Your parent can qualify as your dependent even though he or she doesn’t live with you, provided the support and other tests mentioned above are met. If the support test ((a) above) can only be met by a group (you and your brothers and sisters, for example, combining to support your parent), a multiple support form can be filed to grant one of you the exemption, subject to certain conditions. There are other matters that could be of issue regarding care for your elderly parents: qualification for head-of-household filing status, exclusion of gain of sale of your parent’s home, exclusion for payments under life insurance contracts, and reverse mortgage as an alternative to a nursing home. If any of these above matters impact you, feel free to contact us at the information listed below.